At the start of the year it seemed obvious to me and many others that oil in the coming 12 months would be a story of two cities, Riyadh and Moscow. Now, however, as the year draws to a close, it appears that oil in 2018 was an American story — and will continue to be so next year. Two months ago in Algeria everything seemed calm and quiet for OPEC, but it seems that this was the calm before the storm. When OPEC ministers next meet in December in the cold weather of Vienna, the meeting will be very heated. 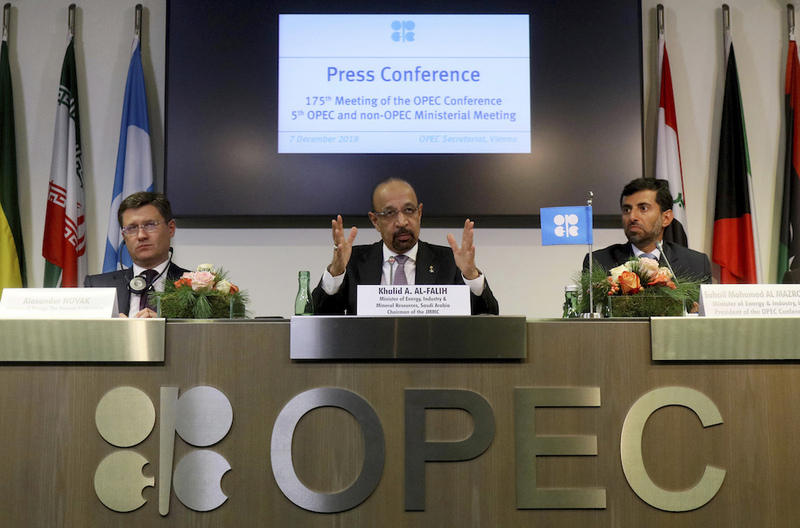 When it comes to the operations of oil companies, transparency is a scarce commodity in OPEC. Very little information is known about the finances of national oil companies operating the world’s largest fields. As the US sanctions on Iran loom, the panic in the market over the loss of Iranian crude is increasing. Worse yet is that OPEC countries are not producing as much oil as they have promised, according to media reports of internal documents.